Who are the ISMB 2016 Conference Chairs? Do I need a visa to visit United Sates? What sightseeing opportunities are available in Orlando? ISMB 2016 will offer the strongest scientific program and the broadest scope of any international bioinformatics conference in 2016. 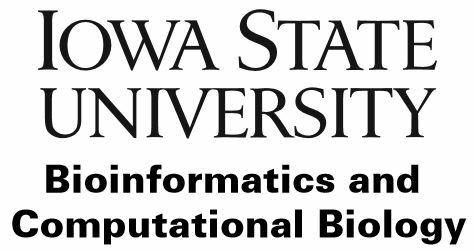 Building on past successes ISMB is designed to cater to variety of disciplines within the bioinformatics community. ISMB 2016 will be the largest and most important computational biology event globally in 2016. Q: Who are the ISMB 2016 Conference Chairs? A: Yes parking is available for both hotel guests and non-guests. The daily fees for parking are listed below and subject to change. There is a daily storage fee for $5 per day per box or $100 per day per pallet for items received sooner than 7 days prior to your event. When you ship them please address them to the name of the person that will be picking them up and to the 1500 Epcot Resort Blvd, Lake Buena Vista, FL 32830 address. Q: Where is Orlando, Florida? A: Orlando, a city in central Florida, is home to more than a dozen theme parks. Chief among its claims to fame is Walt Disney World, comprised of 4 parks, including Magic Kingdom and Epcot, and 2 water parks. Another major player, Universal Orlando, offers 2 parks: Universal Studios and Islands of Adventure, with the Wizarding World of Harry Potter straddling both. A: Orlando's summers are typically very warm and humid. It is best to bring a light water repellent or water proof jacket. The Swan and Dolphin Resort is air conditioned and delegates may find the rooms cool so it is recommended to bring a light sweater. A: Conference Registration is available from Thursday, July 7 to Tuesday, July 12. Thursday, July 7 3:00 p.m. – 6:00 p.m.
Friday, July 8 7:30 a.m. – 6:00 p.m.
Saturday, July 9 7:30 a.m. – 7:30 p.m.
Sunday, July 10 7:30 a.m. – 6:30 p.m.
Monday, July 11 7:30 a.m. – 6:30 p.m.
Tuesday, July 12 7:30 a.m. – 6:00 p.m.
A: A conference lost and found will be located at the information booth located by the conference registration desk in the Dolphin Hotel. Q: What sightseeing opportunities are available in Orlando?